How do I obtain my IMEI number? The International Mobile Equipment Identity (IMEI) is a unique 15-17 digit number given to every phone which can then be used to check information such as the phone's country of origin, the manufacturer and its model number. To obtain your IMEI number dial *#06# on the phone's keypad. Your 15-17 digit number should appear automatically on the screen. If it doesn't, press the dial key after typing *#06#. Only use this method for obtaining your IMEI number and not, for example, from the instructions on the box the phone came in or some other source as these numbers may not be the same. If a phone is manipulated or jailbroken, it is possible that the IMEI number is altered during the process preventing the phone from being unlocked correctly. An example of an altered IMEI is 004999010640000 which is completely different from an original number. 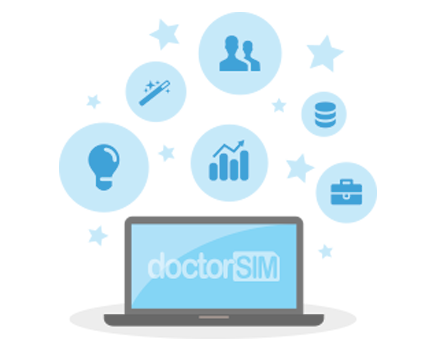 doctorSIM recommends contacting the phone manufacturer or point of sale to resolve any issues with regards to the IMEI number. Our unlocking services are only guaranteed to work with the phone's original IMEI number and hardware/software. Please contact our customer support team, before submitting your request, if you believe your phone has been modified in any way.